Are you looking for marble polishing in NYC? Statewide Stone Care uses our experience and knowledge gained over a decade to make countertops, floors, vanities, and more shine again. Our fully-trained marble professionals use the right products to enhance the appearance of your marble, and our attention to detail ensures that the job is completed fully and efficiently. A home made with marble floors, surfaces, and spreads can be a wonder to behold. Nothing in the world retains the immediate appeal of marble. When drawn to the eye, any spectators will think the home is both elegant and unique. Marble will spruce up any location with its gorgeous, natural design and its guarantee to last for years longer than maybe even the home will stand. But when marble begins to fade or wear out, you may have an opposite feeling. You may look at the home and wonder where the beauty went. It went nowhere, in fact. It’s waiting for you to find it again with help from professional marble polishing in NYC. Marble won’t give up on you as long as you treat it with the respect it deserves. The material is built to last, and that’s not hyperbole. You’ll find structures of marble in NY outlasting their designers in nearly every example. But any marble surface that strikes your eye does so for one reason: the owners of the property took the time and care to polish their surface. They didn’t skimp on care, and most importantly, they didn’t try to perform marble polishing in NYC on their own. Much like you could give yourself a haircut, but probably shouldn’t. You could polish your marble surface. But why take the risk? There’s no risk when you come to us for expert marble polishing in NYC. We know the beauty that lies beneath your marble floor, surface, or spread. We've seen and restored marble ranging from slightly blemished to entirely covered with build-up. You chose marble for its appeal and long-lasting promise. Now we’re here to deliver that on the other end. With a marble polishing job, you’ll not only see new colors and radiance in your marble, you’ll feel the life has been restored to your home. Stay on top of your marble, and let it shine on your behalf. 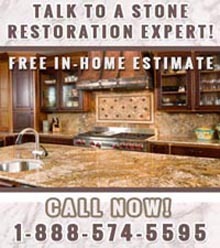 For more information about our affordable marble polishing in NYC, call Statewide Stone Care today at (888) 574-5595.